I used to use King Arthur organic all-purpose flour for all my baking. 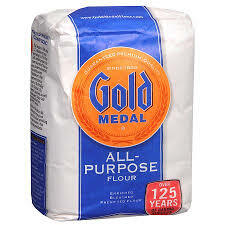 Now I use King Arthur only for bread and pizza; for cakes and pastries, I’ve switched to Gold Medal all-purpose flour. Why? Because Stella Parks (@BraveTart) recommends Gold Medal. When it comes to baking sweet things, what @BraveTart recommends, I do, with a salute and a smile on my face. That’s because Stella is a baking expert, and I’m not. I wouldn’t dream of attempting to replicate the years of research and experimentation that have made her an expert. Instead, I happily rely on Stella’s expertise, although I don’t expect her to be infallible. What convinced me to rely on Stella? Her impressive book, BraveTart: Iconic American Desserts. Her posts at Serious Eats. The success I’ve had in following her recipes. And her fun Twitter feed. We might not always be aware of it, and it might be out of fashion in some circles, but we rely on experts all the time. We have finite amounts of time, energy, and talent to expend in our lives. We’d rapidly run dry if we aren’t willing to rely on experts. That of course applies to contract drafting. The whole copy-and-paste engine reflects that building contracts from scratch for each transaction doesn’t make sense and wouldn’t be possible. But with each act of copying, you’re relying on someone. When you copy something you’ve found online, you’re relying on … well, who knows who you’re relying on. At best, you’re relying on an institution’s reputation. This is an Acme contract! Acme wouldn’t have crappy contracts, would they? Well, actually, they would: I’ve shown time and again that BigLaw contracts and global-company contracts are reliably dysfunctional. Even if you use a contract prepared by your law firm or law department, it might not be clear who you’re relying on, given that precedent contracts morph over time. The starting point might have been a contract from outside your organization, with further adjustments being made from transaction to transaction. What if you’re using a contract template offered by a commercial service? You’re likely relying on an unnamed refugee from BigLaw, doing their BigLaw thing. That’s not particularly promising. When it comes to individual usages, who are you relying on? When during my seminars I ask participants about the implications of a particular usage, usually those who offer their views are hazy as to the source. Someone once told me … I’ve heard that … To rely on conventional wisdom is to rely on no one. My livelihood is based on my having decided twenty years ago that as regards the building blocks of contract language, no one was authoritative enough for me to be willing to rely on them. Since then, I’ve worked to make myself someone you would be willing to rely on. What factors might be relevant? Your experience with MSCD? The general reputation of MSCD? My blogging? My marketplace-of-ideas smackdowns? What others say about me? The fact that I do seminars around the world? The shortcomings of other commentators? All that’s for you to decide. In any event, I hope you’re willing to rely on me as an authority on contract usages just as I’m willing to rely on @BraveTart for purposes of baking cakes and pastries. The post Who You Gonna Trust? appeared first on Adams on Contract Drafting. 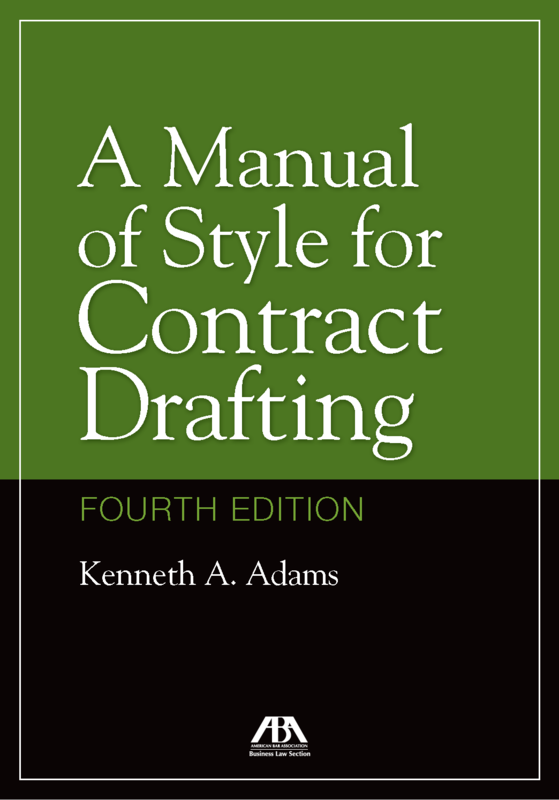 I’ve update this site’s page for A Manual of Style for Contract Drafting (here) to make it clear that the ABA’s e-book version is now available. Go to this page of the ABA Web Store and click on the print or e-book option, as you prefer. In a few months the fourth edition should be available on Kindle and iBooks.